LOMAS ON MANSFIELD TOWN: Could transfer window disrupt these happy times for the Stags? Mansfield Town v Notts County 'Chairman, John Radford who received the desired birthday present. 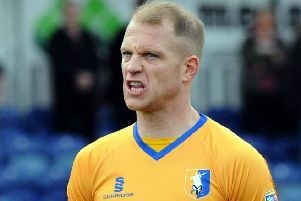 Even Mansfield Town and David Flitcroft’s biggest doubters must now be starting to see a glimmer of hope that this could be the Stags’ season. Saturday’s 2-0 home victory over a Notts County squad that boasts a £3 million wage bill last weekend was so satisfying on so many fronts. It was a fifth straight home win over the Magpies and an 11th league game unbeaten against them. Even more importantly, it was a 13th league game without defeat meaning Stags are now on their best run for 42 long years, surpassing 12-game unbeaten runs 2013 in the Conference and 1991 in the Football League. Stags also head for play-off rivals Forest Green Rovers on Saturday still unbeaten away from home all season. Perhaps the best aspect of the current form is that players are still getting better and better as the games go by. When you look at the crazy money being thrown around like confetti by the top two divisions you wonder what players like CJ Hamilton, Jacob Mellis, Krystian Pearce and Mal Benning must be worth right now. Those four stood out for me in a team of star turns on Saturday as Mansfield made sure the form book was adhered to, despite it usually being thrown out of a window for a local derby. It certainly made for a happy birthday weekend for chairman John Radford with the crowd rightly singing his name in tribute. With the midfield terrier that is Alex MacDonald nearing fitness too, manager David Flitcroft’s already excellent options will be further enhanced. The magnificent new training ground has now opened its doors, despite no official ceremony as yet, and players will be coached in fantastic surroundings by the ambitious Flitcroft and his staff. So, with so much optimism now, the last thing Stags need is to see their best players move on in January. It is inevitable that when a side is playing well then the bigger clubs will have representation there to see what is making them tick. So you can be sure managers from the Championship and beyond are fully aware that the lighting quick CJ Hamilton and midfield maestro Jacob Mellis are both currently living up to their early promise and could play much higher, that Mal Benning and Hayden White are among the division’s best wing backs and that Stags’ back three could walk into any side at this level and many above. Bids in January are inevitable and it is to be hoped players’ heads are not turned and concentration lost during the busy weeks ahead. Obviously every player has their price and if a big club came in with an incredible offer, Stags could yet lose someone key and leave Flitcroft with a scramble to find a replacement in the window. Thankfully the club are not desperate for money and will be able to resist a lot of the likely offers. But, if current form continues, you can bet your life that Flitcroft and every Stags fan will breath a sigh of relief when the window closes with the current squad intact and even enhanced. Flitcroft continues to talk to a plethora of agents about potential signings and, if the Stags stay clear of injuries and departures, we are told we are likely to see just a striker and a centre half brought in to bolster the current richly talented bunch. 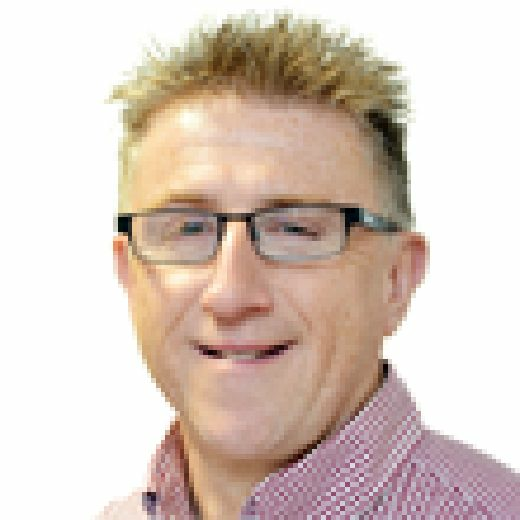 In the meantime Stags will concentrate on staying unbeaten for successive away games at Forest Green and Stevenage, who are both on their coat tails, before the huge Christmas home games with big play-off rivals Bury and a Swindon side still in the hunt.